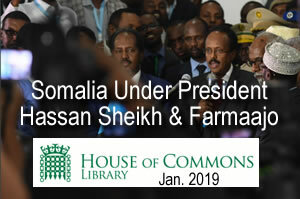 Mohamed Abdullahi Mohamed (known as Farmajo) was elected president of Somalia by the federal parliament on 8 February 2017. Farmajo was the prime minister of Somalia between 2010 and 2011. During his campaign he promised to renew the fight against corruption and indicated that he would be open to talks with al-Shabaab. He came into office with a reputation for competence. However, two years into his term, this reputation is being severely tested.